The new law of the land. When it was passed last December, the Collectible Coin Protection Act was seen as a big step forward for protecting the hobby. It closed a major loophole that counterfeiters were able to exploit so that they were not legally required to mark their wares with the word COPY and added additional protections against the growing problem with counterfeit slabs. However, in practice there have proven to be a number of oversights in the law that will affect a number of niche collectors. Where there are a number of different niches that do collect counterfeits to begin with (such as Henning Nickels or Capped Bust Half Dollars) there is one that is larger than all of the others, and that is the community of VAM collectors. For those who are not familiar, VAMs are different varieties of silver dollars (Morgans and some Peace Dollars) told apart by minute differences. Enthusiasts pore over their collections of Morgan Dollars looking for different die pairings, different types of collectible doubling, strong die clashes, mint or date overstrikes, &c. and each one of these for a given date and mint mark is assigned a VAM number (derived from the names of the two men who wrote the seminal work on the subject, Leroy C. Van Allen and A. George Mallis). As different VAMs were catalogued, other authors (such as Michael S. Fey and Jeff Oxman) started compiling lists of popular designations: “The Top 100,” the “Hot 50,” the “Kimpton 12,” and more. VAMs became collectible, and Third Party Grading companies (TPGs) started noting — for an additional fee — the VAM designations on their holders. However, then some curious discoveries started to come to the forefront: Not all of these varieties were genuine. Some variations in collections of Morgan and Peace dollars — some of which were highly collectible and would sell for thousands of dollars at auction — turned out to be examples of previously undiscovered counterfeits. The website VAMWorld is now maintaining a list of varieties assigned VAM numbers that turned out, whether through testing or other observations, to be fake and that list is actively growing. Some of theses found their prices plummet, such as the famous case of the “Micro O” Morgans from 1896, 1900, 1901, and 1902, and many TPGs stopped certifying them. However, they continue to be sold on online auction sites such as eBay as if they are genuine, and at the prices realized at the peak of their popularity. A counterfeit coin in a genuine PCGS slab selling for what it was worth back during the peak of the boom. However, herein lies the problem: Under the prior Hobby Protection Act, sales of such counterfeit coins was perfectly legal, so long as it was done with no intention to deceive. The eBay listing pictured above would have satisfied all of the present requirements. (b) COINS AND OTHER NUMISMATIC ITEMS.—The manufacture in the United States, or the importation into the United States, for introduction into or distribution in commerce, or the sale in commerce of any imitation numismatic item which is not plainly and permanently marked “copy”, is unlawful and is an unfair or deceptive act or practice in commerce under the Federal Trade Commission Act. 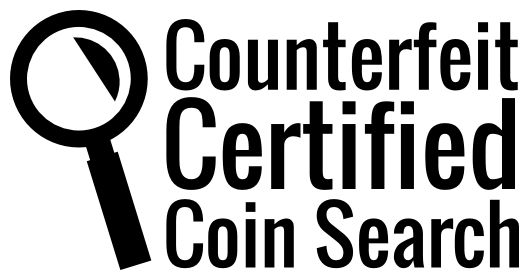 Under this update, any coins known to be counterfeit must be marked COPY in accordance to FTC regulation (Title 16, Part 304), and now this eBay seller above — or any dealer of unmarked “Privately Made” VAMs — is breaking Federal Law. 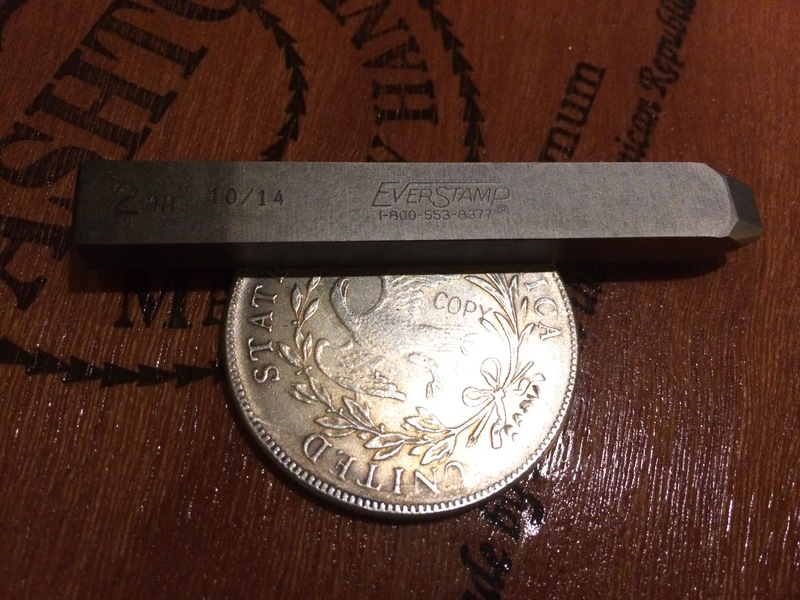 Presently, the only way to remedy this is application of a very specific tool (above) to the surface of the coin. However this raises questions. Does compliance with Federal Law destroy the numismatic value of these counterfeits? They have a very specific and well-established place as a sort of genuine numismatic item of their own. However, does their status as common counterfeits override that numismatic status? As the law is written, there is no extra designation for contemporary counterfeits of this sort. Conceivably, to do so would re-open the loophole that this legislation sought to close. How could one define a contemporary counterfeit in such a way that things like VAMs, Omega gold, or Henning Nickels, etc. would be exempt where modern counterfeits are not? Sadly there is no practical way to do so that would not be either legislatively burdensome or could not be exploited by counterfeiters (or both). So what happens to collectible counterfeits? SEC. 8. This Act shall apply only to imitation political items and imitation numismatic items manufactured after the date of enactment of this Act. So it seems that anything produced before November 29, 1973 is exempt from marking requirements — which would include most contemporary counterfeits. However, when it comes to a number of pieces, such as some of the more recently discovered VAM counterfeits, determining the time of manufacture can be difficult. What is sure, is that the Collectible Coin Protection Act does tighten up requirements on modern counterfeits, and with it we can hope it’s used towards making our hobby better.